Goa is famed for boasting some of the world's most idyllic and alluring beaches. In this post we showcase five of our favourite beaches in North Goa. Goa is one of the best destinations in the world for enjoying a beach break, with practically the state's entire coastline dotted with stretch after stretch of long sandy beach. You can enjoy different kinds of beach holiday experiences dependent on where in Goa you decide to base yourself, with the atmosphere and facilities differing from region to region. 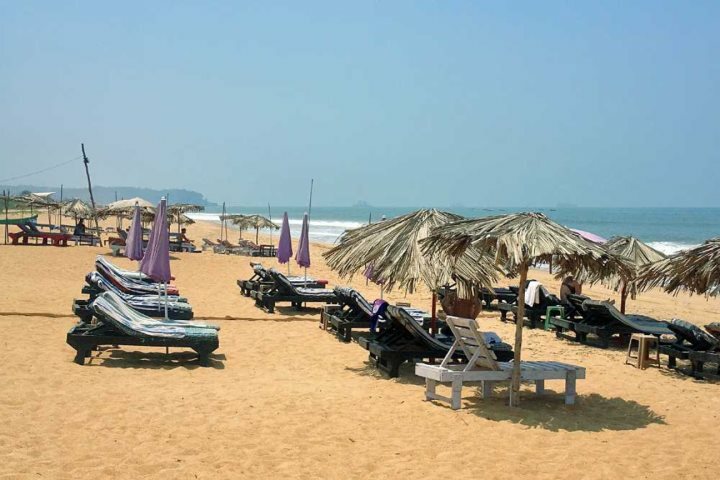 One thing that does remain consistent, however, is the beauty and allure of Goa's beaches, effortlessly drawing in holiday-makers who are looking for somewhere to lay their beach towel and relax. 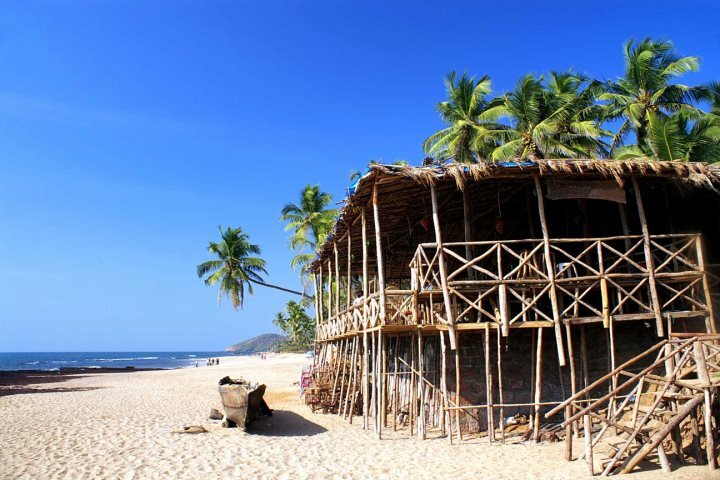 In North Goa, the beaches are considered more vibrant and atmospheric, often visited by both domestic and international tourists and lined by a colourful and aromatic collection of beach shacks that serve up food and refreshments. Given the long list of beaches to choose from in Goa's north, we thought we'd share some of our favourites with this top 5 North Goa beaches list. Located at the far southern end of North Goa, just a short drive from the capital Panjim, Sinquerim Beach is one of the quieter beaches in Goa's north. This beach has managed to retain its quiet and peaceful vibes, despite being the first resort in Goa developed for tourism. 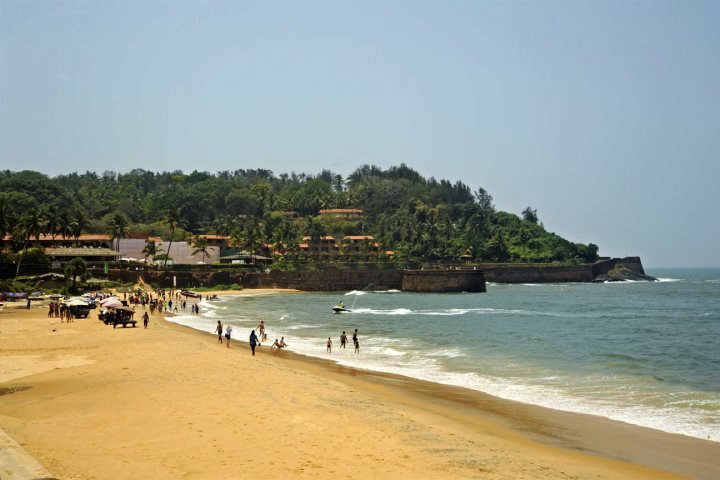 Backed by verdant green palms and boasting the presence of the 16th-century Fort Aguada, this uninterrupted 9km beach is easily accessed from the neighbouring Taj Fort Aguada and Taj Holiday Village hotels. 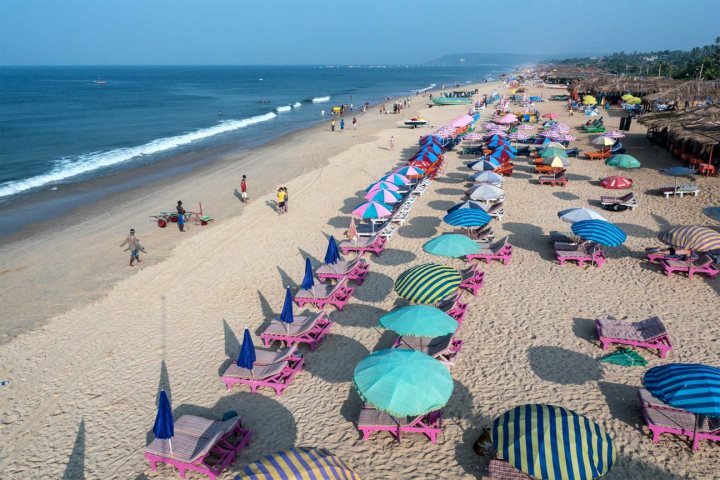 Located just above Sinquerim and presenting a slightly more atmospheric resort that is very popular with British holiday-makers, Candolim Beach is defined by its endless strip of soft sand and uninterrupted string of wooden beach huts. Laze on the sand or sunloungers, sip on a refreshing Kingfisher beer or head back into Candolim village to peruse a variety of shops, bars and eateries. For somewhere ideal to stay in the area, consider the likes of Santana Beach Resort or Sonesta Inns. Calangute (pictured below) and Baga Beach comprises one long stretch of sand that extends as far as the mouth of the Baga River. 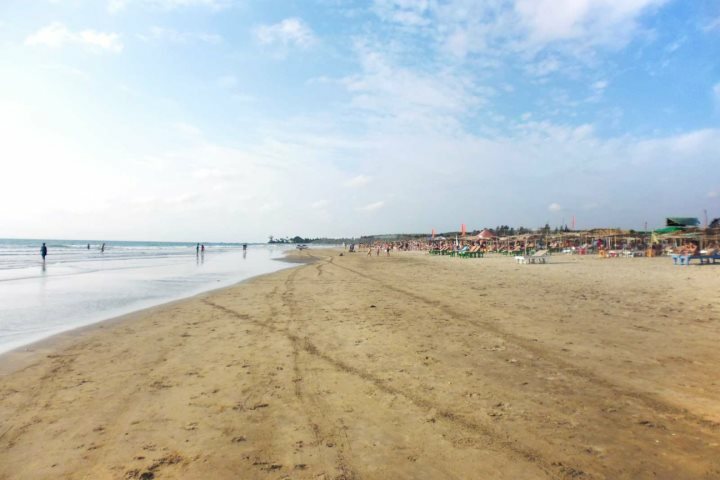 Both of these beaches are considered star attractions by local and international tourists, with plenty of colour, atmosphere and leisure activities to embrace on and around the sand. Whether you want to sit back in the sun or make the most of some of the water sports opportunities, the diversity of these beaches will have you captivated. Why not book a stay at Chalston Beach Resort for an incredible beachfront location in Calangute? Located at the heart of North Goa, Anjuna and Vagator Beach are found just to the south of Chapora River. Anjuna is perhaps best known for its Wednesday Flea Market, but the area also boasts an inviting curve of sand to relax on to, while Vagator Beach is another quiet and relaxing location to lay your beach towel. The real highlight of a visit to these beaches is to witness the sunset from arguably the very best vantage points in Goa. Encountered in the far north of Goa and defined by their wild and picturesque quality, as well as a smattering of trendy beach bars and shacks, the beaches at Morjim and Ashvem are relaxed and clean. One of the most famous features of these beaches is the fact that they serve as nesting grounds for the world-famous Olive Ridley sea turtle, with the aquatic creatures visiting the sands between October and March. Fancy the chance of lapping up the beauty and serenity of Goa and its beaches? Check out our fantastic range of accommodation and start planning your holiday now.